Elegant, decadent, and oh so alluring, Darya™ Barbie® doll knows how to turn heads. Wearing a dress of golden embroidery and brilliant red fit for a czarina, this fashion icon epitomizes regal luxury and classic chic. Dramatic eyes with a hint of sparkle, dazzling “jewels,” and the perfect pout in deep red make this Russian beauty absolutely unforgettable. From a gilded Imperial past to the chic modern present, fashion never takes a holiday in Russia. 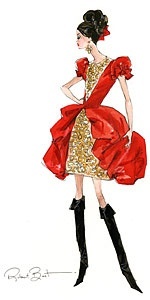 A revolution of brilliant reds and whimsical matryoshka dolls makes for scintillating style. Inspired by traditional, folkloric design, Mila™Barbie® doll looks beguiling beneath her babushka. Experience a fashionable feeling of Glasnost as style becomes sensational. 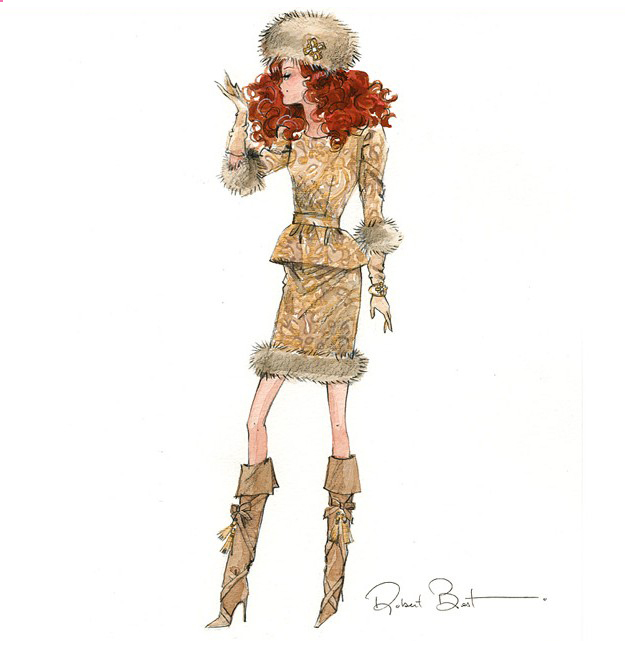 Ekaterina™ Barbie®looks beguiling in rich brocades and faux fur, perfect for Moscow, St. Petersburg, or any chic Russian city. When St. Petersburg’s white nights end, this fashionable devushka trades the romance of endless twilight for the glory of chic, classic black couture. 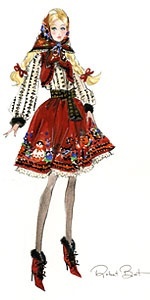 Perfect for snowy Siberia or magnificent Moscow, Verushka™Barbie® doll is intoxicating, alluring, and oh so fashionable. Never say “Nyet” to the romance of Imperial St. Petersburg! Baroque palaces, majestic moonlit nights, balalaika music. Just add a dashing man in uniform for a divine Russian reverie! 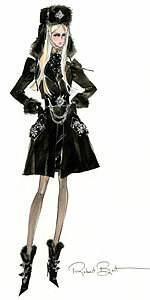 Military chic inspires masculine fashion with a unique, Eastern European twist in NicolaiKen® doll. Handsome, worldly, and the ideal accessory for Barbie® doll’s night on the town in St. Petersburg. A familiar face gets a fresh fashion update! For the first time Francie Fairchild shows off a new Silkstone®body. Check, Please! Francie doll is ready for a fun day out and about in a cheerful red and white outfit from Robert Best. 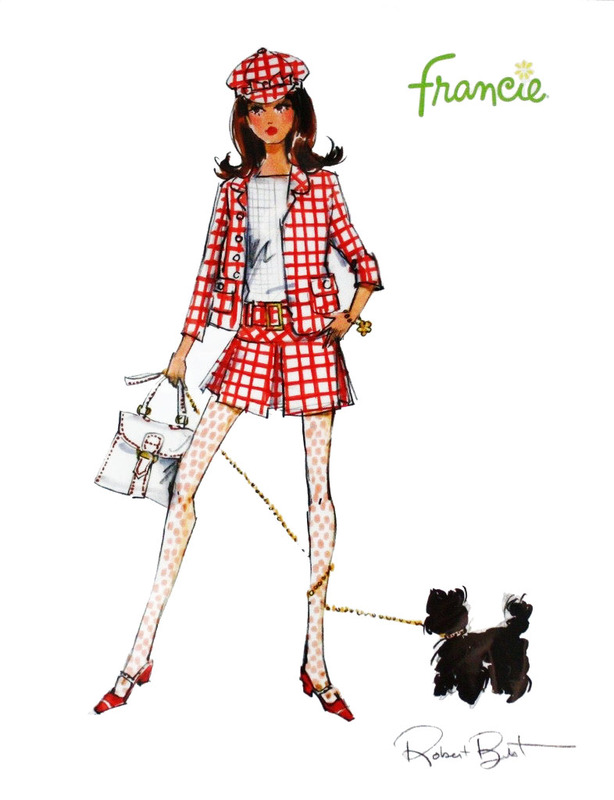 Her brunette hair is styled in a sassy 60’s flip topped with cute matching cap, and she’s got her adorable pup at her side. This thoroughly MODern Miss is a Dealer exclusive. Nighty Brights Francie Giftset is a fresh, fun take on Barbie doll’s cute cousin, in a new Silkstone® body! She’s all set for a slumber party in green baby dolls pjs with yellow, white and pink polka dots, matching bloomers and white slippers with pink pompoms. For daytime, Francie dons an adorable orange outfit accented with white and blue, white textured tights, and MODern white go-go boots! Accessories include a personalized hanger, green slumber mask, brush, comb and diary. She’ll sleep tight in sensational style! Sculpted in Grace Kelly’s likeness and featuring a Silkstone® body, this doll marks the first time outside of the Barbie® Fashion Model Collection that Silkstone® has been used for a celebrity doll. American actress Grace Kelly married Prince Rainier of Monaco in a gorgeous gown that has been faithfully recreated to capture every exquisite detail. The dress features a fitted torso with a sweet row of pearly buttons down the front, while the lengthy train incorporates a lovely lacy insert. The long tulle veil is trimmed in lace, and this beautiful bride carries a small ivory prayer book in one hand and a Lily of the Valley “bouquet” in the other. Her face paint is suitably subdued for the occasion, with simple pearl earrings adding a sophisticated final touch. When American actress Grace Kelly arrived in Monaco to marry her prince, she was the embodiment of 50’s elegance and class. The exquisite Grace Kelly The Romance doll recreates her exact outfit in amazing detail. She wears the fabulous floral print dress Miss Kelly wore when she first met her future husband at the 1955 Cannes Film Festival. 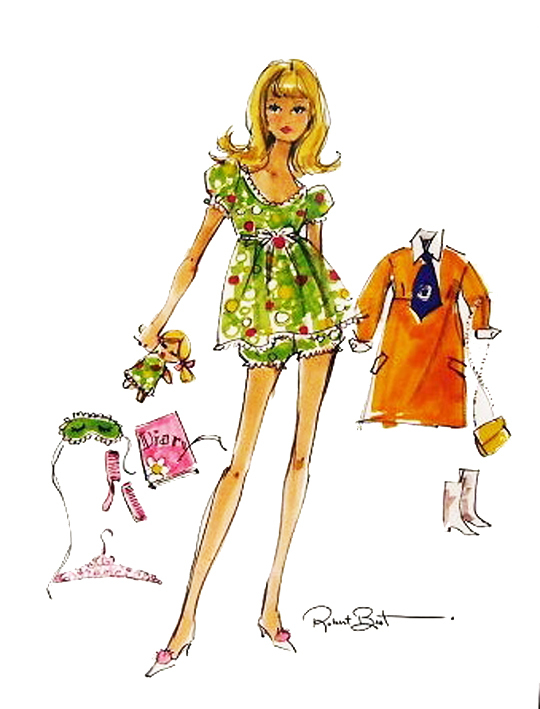 From an “easy to sew” pattern the actress modeled for McCall magazine, the dress features long sleeves and a tight bodice that flares out into a full skirt, and is styled with a coordinating headpiece and navy pumps. She also comes with a deep navy blue coat and matching dress. Her golden blonde hair is pulled back and can be neatly tucked under a white, wide-brimmed hat and matching scarf, while sunglasses shade her lovely blue eyes. A simple strand of pearls encircles her glove-covered wrist, and she has a delicate bouquet of white violets.